MOUNT PLEASANT, South Carolina (WTVD) -- It's safe to say the Easter Bunny isn't responsible for this family's terrifying surprise. 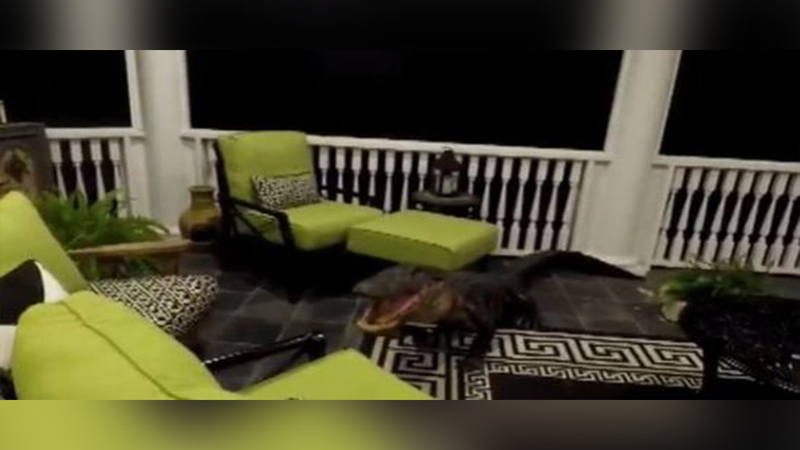 Homeowners in South Carolina were shocked Sunday morning after a 9-foot alligator climbed a 15-foot staircase, broke through a screen, and climbed through a doorway before pushing furniture out of the way and entering the porch, WGHP reports. The family said they heard the noise and thought it was someone breaking into their home, not an alligator trying to attend Easter brunch. During the springtime, alligators are typically making their way out of hibernation and into warmer waters, not making their way into homes, wildlife officials told WGHP.